The scheme follows rising demand for quality living spaces by Plymouth University students. The University is now ranked the 10th largest Higher Education Institution in the UK with more than 20,000 full-time students and houses one of the UK’s best medical schools. The city centre development, which is just a six-minute walk from Plymouth University and Plymouth College of Art, was a joint venture between developers Maple Grove, part of the Eric Wright Group and Yorvale, and contractor Morgan Sindall. 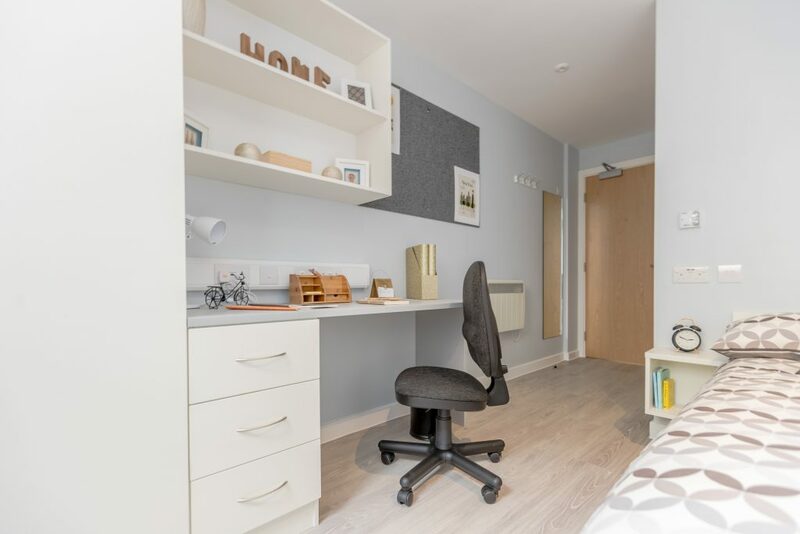 Chris Evenson, managing director of Maple Grove Developments, said: “It’s great to see our collective vision for the scheme come to life and add another student accommodation block to our growing education and residential portfolio.